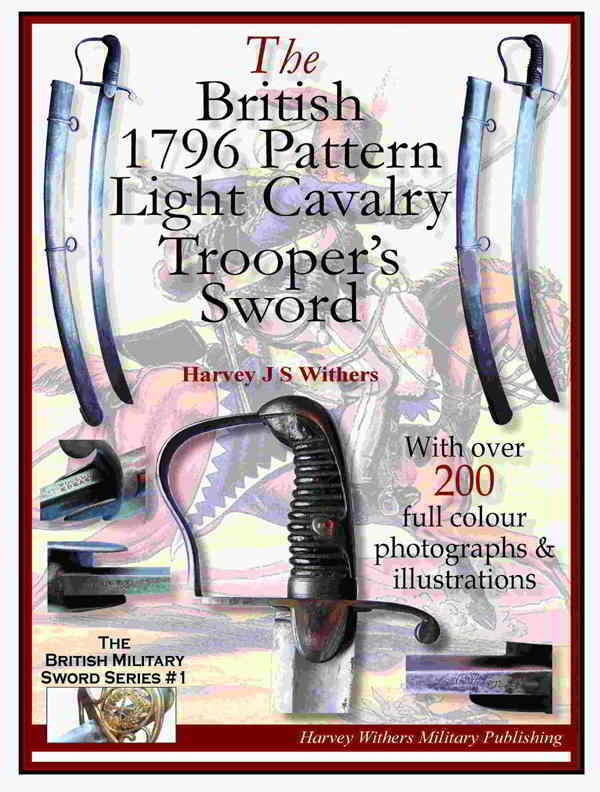 An original British 1796 Pattern Light Cavalry Trooper's Sword. This is the type of sword that was carried throughout the Napoleonic Wars by British light cavalry troopers and featured in just about all the major campaigns and battles of the period, including the Peninsular Wars and the Battle of Waterloo. It comprises a steel stirrup hilt and wood and leather grip - some losses. The tang button is quite unusual in that it is secured to the hilt with a copper disc - never seen that before. The blade is wide and of typical hatchet point form that swells towards the point. It would have been a most effective slashing and cutting weapon and devastating in the charge. It was the brainchild of Major Gaspard Le Marchant, a British cavalry officer who copied the swords being carried by Austrian hussars of the period. This example is in good condition for its age with some appropriate age wear to the blade and grip. Both hilt and blade are rock solid - no movement whatsoever. Blade length is 32.5 inches (37 inches overall). IMPORTANT: If you have an interest in this pattern of sword please take a look at my new full colour collector's booklet - just click on the image below!